A prequel is a work that forms part of a back-story to the preceding work. Simply stated, it sets the stage for the existing novels and usually comes after the original work was written. 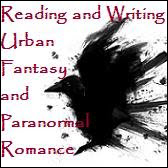 If you have followed my blog or perhaps seen my books on Amazon, Barnes & Noble, or various other sites then you know I have authored a succession of books called the Dragomeir Series, an urban fantasy/sci-fi saga of dragons and their riders, along with some rather unusual creatures and captivating characters. Some readers might ask, “Why write a prequel?” I had originally planned to finish this series and then push on to other projects but began having second thoughts as I put a close on the third book in the Dragomeir Series, “Egg of the Amphitere.” One of the main characters known as Queen Mother needed to be expounded upon to give a better understanding and proper closure as to who she was and why. I realized there was a fascinating back-story to be told, and the prequel was born. The story, albeit told by Tanis Theatra (one of the dragon riders), was more about the life and times of Katherine Pendragon (Queen Mother) than anything else. The only way to pursue that was to go back where it essentially started and tell her story as it began on the Provinces. So, the prequel series, “Daughter of the Dark Lord” was created to give credence to Queen Mother’s life, why she was so passionate about family, and to clarify her dedication to stopping the Dark Lord from invading earth. Last, but not least, it was to express how she eventually planned to liberate the Denizen people of the Provinces. While telling her story, it would also give the reader a bird’s eye view into Tanis Theatra’s beginnings, and of course the amazing dragons. To accomplish this there will also be one more installment to the original Dragomeir Series, entitled “Back from Oblivion.” This book describes Queen Mother’s ultimate objective which is exclusively detailed in the “Daughter of the Dark Lord” prequel series. There are two books available in this series now, and a third is currently being written. to read sample chapters, discover exciting extras and purchase books at multiple locations in a variety of formats. I hope you enjoy! 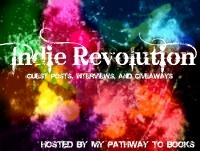 Here is a question for my readers – Do you enjoy reading a prequel to a novel? Have you written a prequel? I’d love to hear about your writing experience. Daughter of the Dark Lord – Part Two – The Alberra Project is finished. The last six months have been chaotic, as the holidays and life in general seemed to hijack my writing time. But The Alberra Project has progressed into editing mode and will be available in eBook and paperback very soon. 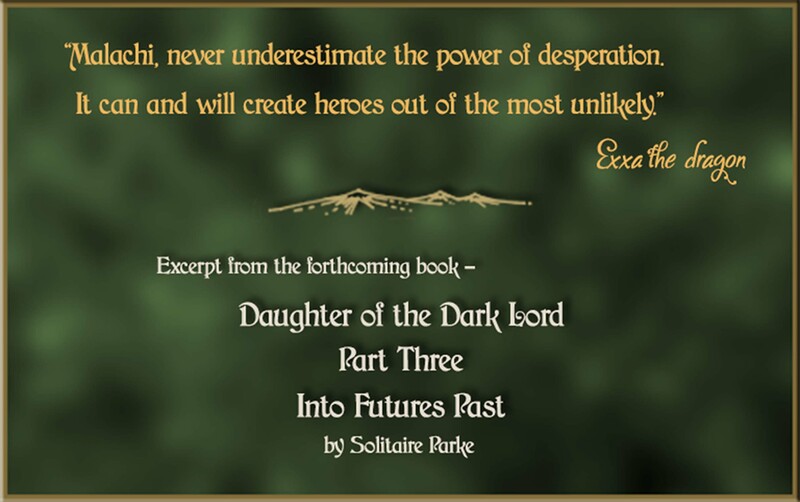 The first book, Daughter of the Dark Lord – Part One – The Burning Sky, has been out for a while now and is available at a variety of locations – all of which can be reached from my website – www.solitaireparke.com. 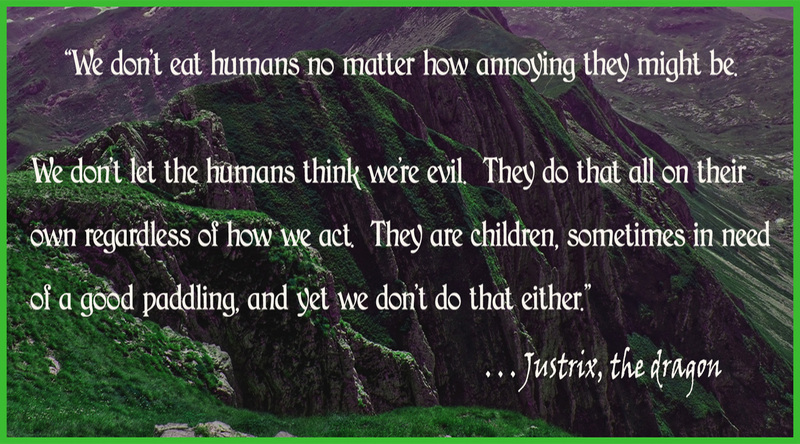 The Daughter of the Dark Lord books are prequels to my previously published Dragomeir Series – a must read for anyone who loves dragons and other wonderful creatures. I’ve always been intrigued by dragons. They are magnificent creatures who interact in the most unique ways with their riders and fellow beings and have characteristics that are remarkably like humans at times. They’re quite brilliant and good-natured, contrary to all the bad press they’ve been given over the centuries. Part Two continues Katherine Pendragon’s journey as she comes of age on the Provinces of Hell, a dark and often unnerving place in which to grow up. She unwittingly learns the truth about her father, a reality she has long dreaded. With her beloved dragon by her side, Katherine faces her biggest challenge yet as she struggles with the knowledge of her father and an uncertain future, both for herself and those she would free from this vile world. Daughter of the Dark Lord – Part Two – The Alberra Project. It’s about time for another novel, this time Part Two of the Daughter of the Dark Lord Series. The first book, Daughter of the Dark Lord – Part One – The Burning Sky, has been out for a while now, and is available at a variety of locations – all of which can be reached from my website – www.solitaireparke.com. 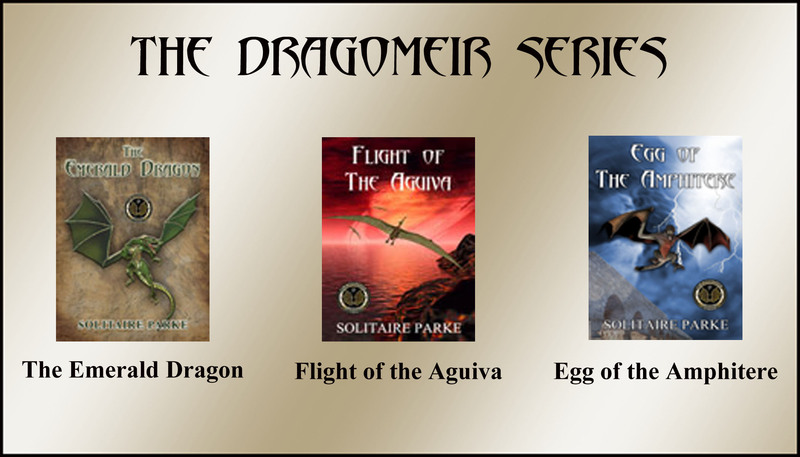 I am very anxious for you to read the Daughter of the Dark Lord books as they are the prequels to my previously published Dragomeir Series – a must read for anyone who loves dragons and other wonderful creatures – also available at my website. I’ve always been intrigued by dragons. They are magnificent creatures who interact in the most extraordinary ways with their riders and fellow beings, and have characteristics that are remarkably like humans at times. They’re really quite wonderful, contrary to all the bad press they’ve been given so much of the time. The second book in the series, Daughter of the Dark Lord – Part Two – The Alberra Project, is almost finished, I am happy to say. These last few months have been a bit crazy, as life and the consequent stress of other projects seemed to take over from time to time, but I am hard at work on Book Two and it has progressed quite nicely. So, before long it will move forward into editing mode, there will be a cover reveal, and it should be out before year’s end. In the meantime, check out my other books at www.solitaireparke.com. Cheron reached into his robe and pulled out an amulet attached to a golden chain. Gazing at it for a moment, Cheron’s energy spiked, almost unnoticeably, and then passed. He handed the piece to Katherine hesitantly, as if he was about to lose something meaningful to him. 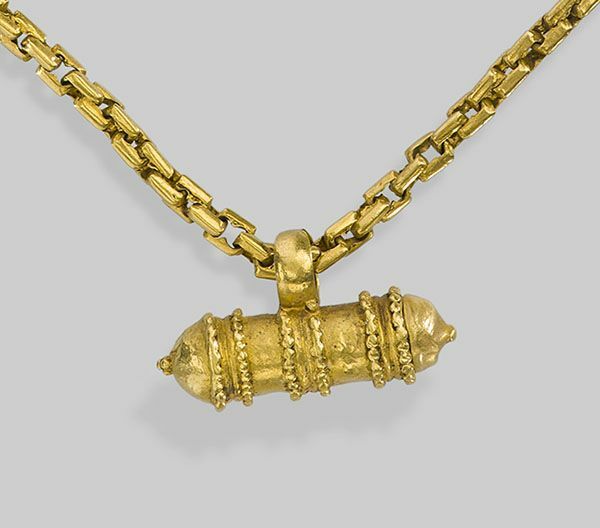 The Amulet of Ele-Amarna was an ancient vial, one and one half inches in length, attached to a solid gold chain, which was eighteen inches in length. The six gold rings surrounding it, would spin in the manner of a combination lock until they lined up, allowing it to open. Katherine had no knowledge of what would happen once it opened, but she did know that her energy combined with that of the amulet would call up the Army of the Dead, and their subsequent leader, General Bahn Fahr. The General resided with his army in the Province of Sheol. This might be the only way to defeat her father. at my website www.solitaireparke.com, where it can be purchased at numerous locations in a variety of formats. I look forward to hearing from my readers. Let me know if you have any questions or comments. WHY DO WE LOVE DRAGONS? 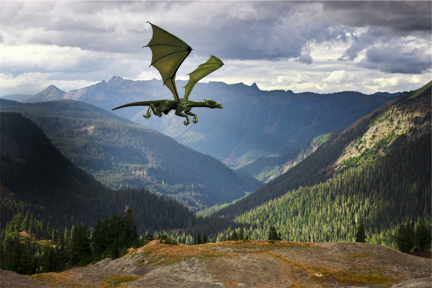 Dragons are magical, mythical winged creatures that we find both thrilling and frightening. Both adults and younger readers seem to find them equally fantastic. We’d like to believe that they might have once existed, and they are legendary in almost every culture on the planet, so why not? They have traditionally been viewed as perilous, dangerous creatures with magical qualities that laid waste to the countryside and carried off damsels in distress, thereby having to be sought after and conquered. Some authors have written about them with this view in mind – Tolkien, Ursula K. LeGuin, and J. K. Rowling, to name a few. The fantasy writer, Anne McCaffrey, explored human kinship with dragons, man and animal befriending one another. Countless children’s books have now brought these fantastic creatures into the next generation to be both feared and loved. Dragons introduce a much needed magic and adrenaline into our lives – the appeal of being unpredictable and potentially dangerous that emulates our challenges, frustrations and achievements in an exhilarating and exceptional way. Dragons never play by anyone’s rules. Nowadays, dragons are our constant companions in novels, movies and computer games. They are the most familiar and respected creatures from fantasy and legend. 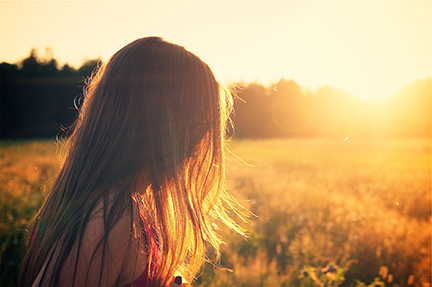 They can give us an emotional reaction of faithful friendship, as well as the opportunity to fly. Dragons allow us to feel indestructible and open up our imaginations. They give us wings. What are your favorite dragons? The opium poppy is widely cultivated and its worldwide production is monitored by international agencies. It is used for production of dried latex and opium, the principal precursor of narcotic and analgesic opiates such as morphine, heroin and codeine. 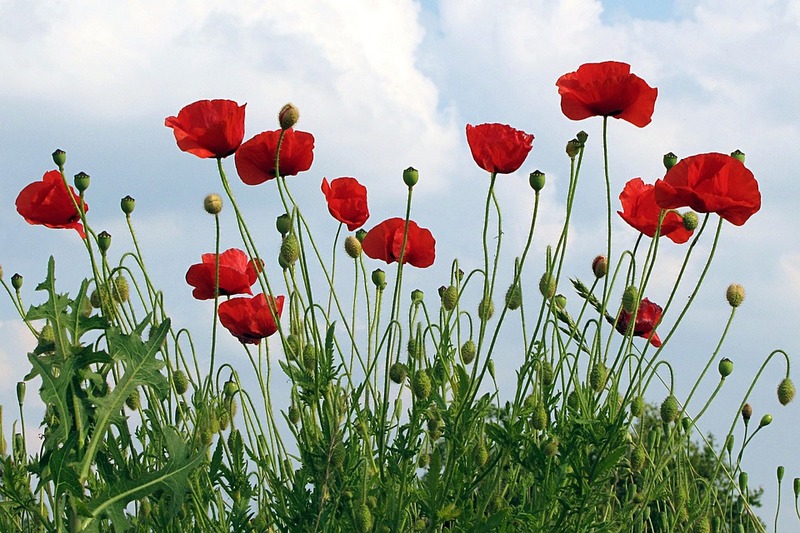 Poppy seeds are rich in oil, carbohydrates, calcium and protein. The earliest reference to opium was in 3,400 BC where the Sumerians in lower Mesopotamia referred to it as Hul Gil, the “Joy Plant.” They, in turn, passed the knowledge of the opium poppy to the Assyrians, who gave it to the Babylonians, who passed it on to the Egyptians. 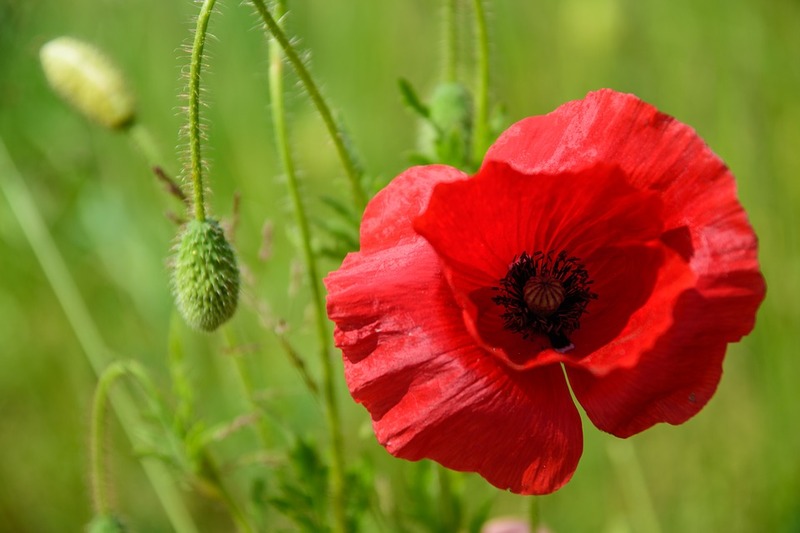 The Egyptians were famous for their poppy fields and the opium trade flourished during the eighteenth dynasty (around 1500 to 1300 BC) under the reigns of Thutmose IV, Akhenaton and King Tutankhamen. Roman gladiators used opium to enhance their fighting … and to die as painlessly as possible if mortally wounded. Hippocrates, the father of medicine, saw opium as a helpful narcotic for treating disease. The great physician Galen cautioned that opium should be used sparingly in 158 AD. He said it was better to endure pain than to be bound to the drug. It wasn’t until 400 AD that opium was introduced into China by Arab traders. Alexander the Great used opium to help his soldiers march farther because they couldn’t feel the pain in their feet; and they could sleep through the night because the wounded were sleeping peacefully under the influence of opium. He introduced opium to India, where its cultivation flourished. One of the goals of Columbus was to bring back opium from India, as its access had been cut off when the Arabs were expelled from Spain. He didn’t get to India, but he brought back tobacco from the New World and smoking tobacco became common throughout Europe. In 1803, a German chemist named Friedrich Sertuerner synthesized morphine from opium. Sertuerner’s wife overdosed on morphine and died. He then publically warned against its dangers. But morphine was also a great step forward in medicine. It allowed doctors to do true surgery for the first time. Morphine was heralded as “God’s own medicine” for its reliability and long-lasting effects. By 1827, the E. Merck & Company of Darmstadt Germany was commercially manufacturing morphine. A new technique for administering morphine was developed by Dr. Alexander Wood of Edinburg when he invented the syringe in 1843. Wood believed that if morphine was injected instead of swallowed, “patients would not hunger for it.” He was wrong; and several of his patients became dependent. John Witherspoon warned his fellow doctors in a June 23, 1900 article about their indiscriminant use of morphine. The morphine habit was growing at an alarming rate; and doctors were culpable for “too often giving this seductive siren until the will-power is gone.” Pointing to the Great First Physician, he said doctors should “save our people from the clutches of this hydra-headed monster” which wrecked lives and filled jails and lunatic asylums. the Dark Lord of the Provinces, a manipulative, heartless and cruel ruler, attempts to control the Denizen people that he rules by allowing them to become addicted to the medicinal serum. His plan is to cut off the supply of the Hul Gil, and then establish it once again, only this time with contingencies tacked on. In essence, he would be creating voluntary slavery with himself as the Dictator. Whenever the Dark Lord wanted something, he would simply cut off the drug until the people complied with his wishes, thereby maintaining power over those he considered to be worthless underlings. His daughter, Katherine, who is aware of the monster that is her father, is still shocked and stunned at the depths of his sadistic inhumanity and is determined once again to thwart his malevolent efforts. The book takes place on the Provinces of Hell, not a destination that anyone would want to find themselves, and yet to her chagrin, Katherine is not only the Dark Lord’s daughter, but a potential victim of his evil plot. She must find a way to survive and somehow escape this retched place. Also available for purchase at www.solitaireparke.com and various other locations – in multiple formats. A Dragon is a legendary creature belonging to the world of mythology, storytelling and fantasy. There are stories about dragons in Chinese culture, European culture, South American culture, and many others. Dragons can look like dinosaurs and other extinct animals. Because of that, it is easy to think that those animals might have been an example for dragons as they were thought of in the history of humankind. A dragon has: none to four legs, claws, scales and possibly spikes. Optional wings. A dragon has a tail and a long neck. A dragon has a wide mouth with big and dangerous teeth. Sometimes they have horns and hair. A dragon can perhaps breathe fire (or other dangerous substances). A dragon can have special powers. Some dragons live in caves. If the sky could dream, it would dream of dragons. The ultimate challenge of a teacher lies not in the slaying of dragons, but rather in exposing them as beasts no longer to be feared. If you want to conquer the world, you best have dragons. How should we be able to forget those ancient myths that are at the beginning of all peoples, the myths about dragons that at the last moment turn into princesses; perhaps all the dragons of our lives are princesses who are only waiting to see us once beautiful and brave. Perhaps everything terrible is in its deepest being something helpless that wants help from us. Meddle not in the affairs of dragons, for you art crunchy and good with ketchup. Come not between the dragon, and his wrath. best you drink the flagon dry. Imagine a land where people are afraid of dragons. It is a reasonable fear: dragons possess a number of qualities that make being afraid of them a very commendable response. Things like their terrible size, their ability to spout fire, or to crack boulders into splinters with their massive talons. In fact, the only terrifying quality that dragons do not possess is that of existence. A dragon stranded in shallow water provides amusement to the shrimps. I desired dragons with a profound desire. Of course, I in my timid body did not wish to have them in the neighborhood. But the world that contained even the imagination of Fáfnir was richer and more beautiful, at whatever the cost of peril. Did not learned men, too, hold, till within the last twenty-five years, that a flying dragon was an impossible monster? And do we not now know that there are hundreds of them found fossil up and down the world? People call them Pterodactyles: but that is only because they are ashamed to call them flying dragons, after denying so long that flying dragons could exist. 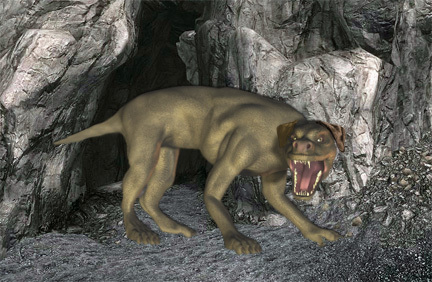 The Hell Hounds were initially encountered in the first book of the Dragomeir Series, “The Emerald Dragon.” These creatures were living at Mt. Drago after making a mass exodus from the Provinces of Hell, with the help of the Queen Mother or “The Ariella.” Inside Mt. Drago, they took up shop in an area of the mountain called Tarin’s Gallery. The Hell Hounds are a genetically altered species that started off with a considerable amount of wolf and pit bull in their heritage. No one is really sure what else went into the mixture, but what we do know is that they went after size and stamina. The full grown males of this species top over three hundred pounds, stand about five feet tall and can run for days. Their fur is course and sometimes sparse, and they are predominately brown in color with brown eyes. Each one has a different and uneven muzzle, with teeth that protrude in a variety of directions, even with their mouths closed. They also sport an opposing thumb and forefinger. What the Dark Lord of the Provinces didn’t expect was that they were a species on the fast track to sentience. Generations later, they were no longer just guard dogs. Through sheer will, a lot of death and destruction, and the help of a young girl, the Dark Lord’s daughter, they managed to escape. By the eleventh generation they were not only intelligent, but self aware and very unhappy with the Dark Lord. That’s where “The Ariella” entered the picture and gave them an opportunity they couldn’t ignore – a chance to break away from a life of cruelty, maltreatment and servitude. The Hell Hounds of today are drastically different than the ones written about in history. The ones in Mt. Drago would rather not fight; they are vegetarians and prefer to stay in one place to rear their children. They are deeply spiritual and have a great sense of humor. Want to know more about any of the Mt. Drago Creatures ? – Contact me below!